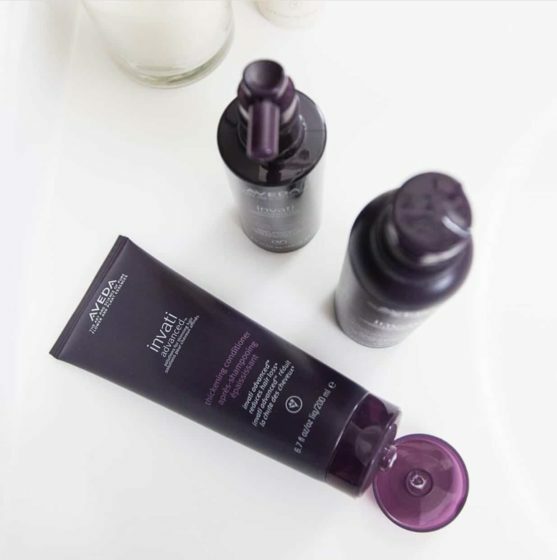 Aveda’s brand new advanced formula has had an upgrade. Unleash the power of INVATI for thicker, fuller looking hair for more than an outward transformation. The Aveda Invati haircare collection has been specially formulated to tackle thinning hair and hair loss. The formula is made with a blend of 97% naturally-derived ingredients, which work in synergy with your hair to reduce damage, breakage and thinning, and instead encourage healthy hair growth and fuller, more voluminous locks. The collection consists of a 3-step treatment, which includes the Aveda Invati Shampoo, Conditioner and Scalp Revitaliser. Collectively, these products work together to transform limp and thinning hair into thicker and fuller locks.